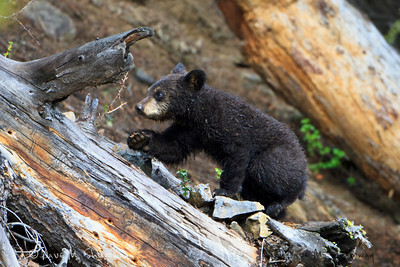 I spent the bulk of my weeklong trip to Yellowstone with the "new Rosie" and her cub of the year. I also spent 10-15 hours waiting fruitlessly watching for weasels and another 10 hours or so scouting out Badger dens (with no real luck). I kept the play by play going via my Twitter & Facebook, so I won't repeat it all here. The photos really do a great job of telling the story. Add to it 55 different species of birds lots of rain, snow, sleet, and countless hours with friends. I should be heading back to the park in a few days to play with my brand new 24mm T/S. I am working on adding some video of the epic battle that I was fortunate enough to witness between the "new Rosie," here cub of the year, and a local boar who wanted to kill the cub. The events did not yield any good photos or even any good video; but I think it may be worth sharing.